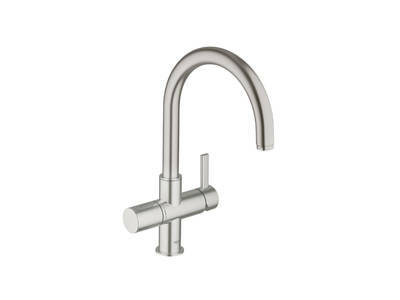 GROHE Blue® Pure is the alternative solution for people who prefer the natural taste of still water. 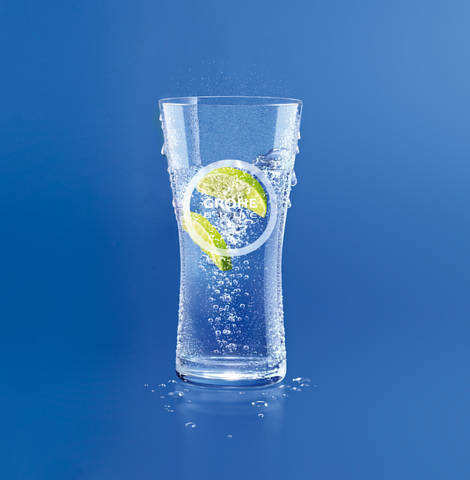 Using the unique GROHE Blue® filter technology it turns ordinary tap water into fresh water, removing all of the substances that can impair its taste. 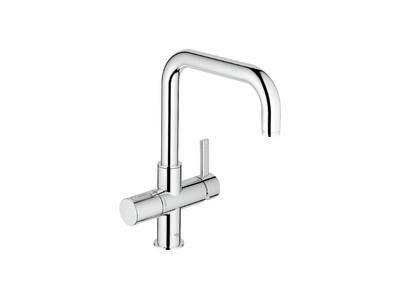 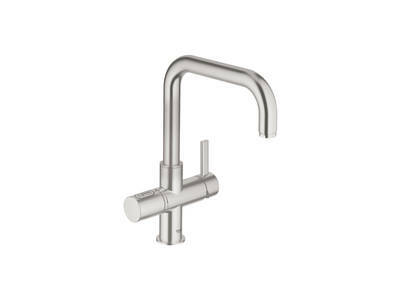 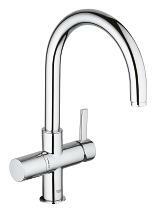 Finished in GROHE StarLight® chrome, the tap has separate internal waterways – one for filtered water and the other for unfiltered water. 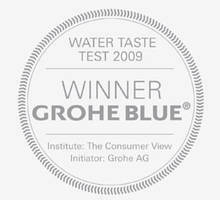 This means that people who prefer ambient, still water without any carbonation at all do not have to miss out on the great taste of water from a GROHE Blue® water system. 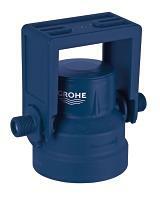 The GROHE Blue® filter cartridge can purify up to 600 litres of water and can be replaced in just a few steps. 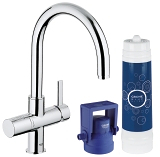 It delivers a pure, refreshing taste experience with no aftertaste of heavy metals, limescale or chlorine. 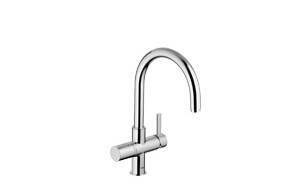 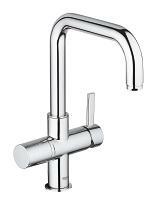 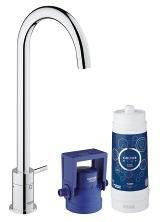 Tap water is now transformed into pure refreshment, using the innovative GROHE Blue product range. 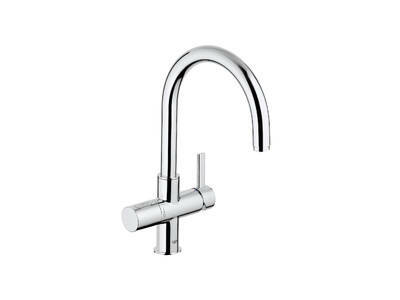 GROHE Blue filters the water with technology supplied by BWT and then cools it down to the ideal temperature for you to enjoy, providing still water with fine bubbles or effervescent, sparkling water straight from the tap. 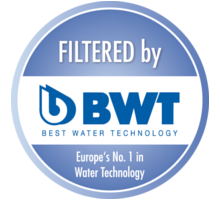 BWT’s global innovation offers all water gourmets a refreshing tasting water, filtered by BWT’s unique, patented Mg2+ technology and enriched with magnesium. 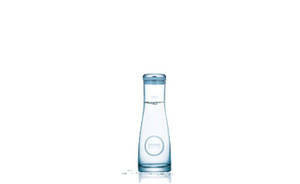 Just perfect for your everyday drinking indulgence. 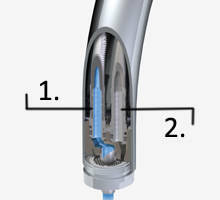 The unique GROHE Blue® water systems deliver fresh, great-tasting filtered water from the convenience of your kitchen tap whenever you want it – 24 hours a day, 7 days a week. 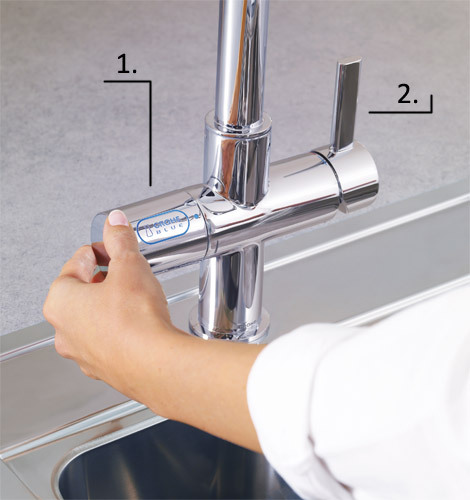 An LED display on the tap handle indicates when the water filter needs to be changed. 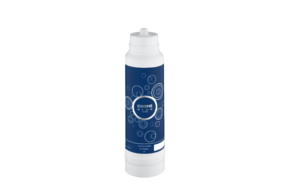 The light flashes when the filter capacity is less than 10%. 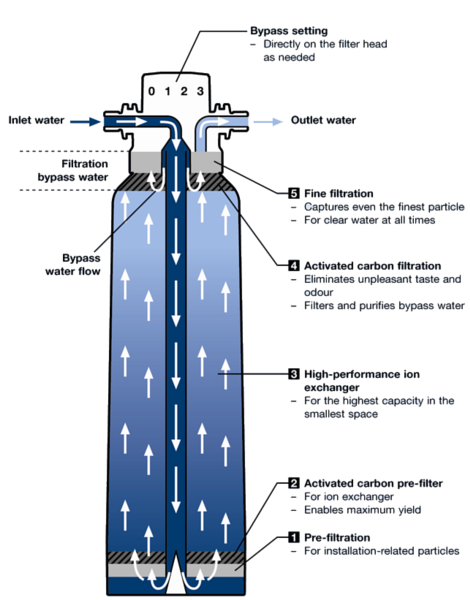 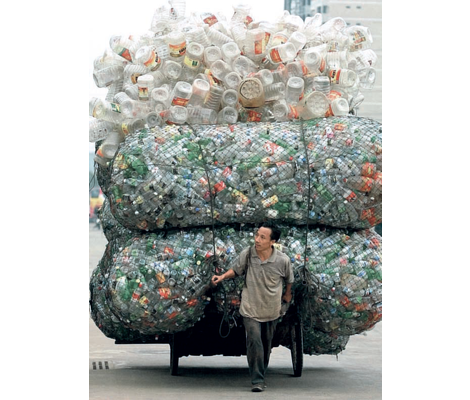 The filter lasts up to 12 months, has a capacity of 600 litres and can be adjusted to the hardness of the water.